It has been a discussion for decades, but the world is only now waking up to the importance of tackling waste. A growing population creates growing demand and with it, waste. One of our challenges is how to limit that impact in an efficient and effective way. 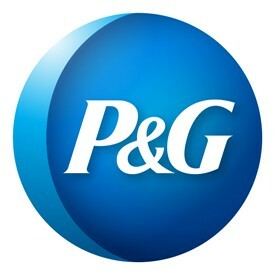 As announced by P&G in January this year, we have committed to achieve zero manufacturing waste to landfill by 2020 – however, our longer-term environmental vision is to have zero consumer and manufacturing waste go to landfills as well as using 100% renewable or recycled materials for all products and packaging. As principal scientist in packaging development focused on sustainability, this is at the core of much of my work. For consumers, the process of recycling needs to be a simple one. We’ve seen that the more complicated this process is, the less likely the average person is to take the time to sort through packaging to make sure it’s done correctly. For P&G the challenge is figuring out how we can make this job easier by educating people what to do at the end of a product life, (e.g. through on-label instructions). However, such measures can only go so far while different stakeholders adopt and promote different standards. We recognise that working together with partners and competitors, sharing knowledge and collaborating, is an imperative. Not only will we be able to achieve our environmental goals more effectively it’s also fundamentally the right thing to do. This spirit of collaboration is at the heart of the Ellen MacArthur Foundation’s New Plastics Economy initiative, which we joined this year. The New Plastics Economy works with stakeholders to counteract competing standards across the value chain, with the aim to create a circular system for plastics. It can be a difficult task to get stakeholders around the table, but one which is vitally important. As part of our participation in the New Plastics Economy P&G are leading the Pioneer Project Holy Grail (Pi.Pro Holy Grail), aiming to develop an industry-supported vision and roadmap for tracer or watermark technology to aid the sorting of plastics at Material recycling facilities and/or recycling plants. Tracer based sorting (TBS): the addition of fluorescent pigments to plastic packaging items– these are only visible under certain special light conditions at the sorting plants, which aids quick sorting into the relevant recycling lines. In theory, these innovations have the potential to reduce the amount of sorting required by a consumer and make the whole process more pain-free. However, a common vision and roadmap are still missing to turn this into practice. Pi.Pro. Holy Grail aims to involve the entire value chain to develop a vision by answering if, how and where tracer or maker sorting technology could add most value. Next to a vision, the project aims to develop an industry-supported roadmap, which will be required to ensure a smooth and coordinated roll-out and avoid fragmentation. Given a number of different tracer/market technologies have been developed, there is a risk of fragmentation and inefficiency. Therefore, we – as an entire value chain – need to align on a single global standard or at least a handful of compatible standards for tracer or marker based sorting. This week, I will be helping P&G take the lead on Pi.Pro Holy Grail through chairing a workshop in Brussels in which we will provide an update on the latest developments in ongoing tracer and watermark projects. Alongside stakeholders from fellow plastics manufacturers, NGOs, and governmental organisations, we will debate how/where tracer and watermark sorting can add value and how they can be introduced and standardised across the plastic packaging industry. To improve the planet, we must recognise our place within it as a community, rather than a single entity – through Pi.Pro Holy Grail we’re helping contribute to this. For the consumer, an invisible change will make a big difference and they can be assured that we are working hard behind the scenes to make it happen. I’m very much looking forward to updating you on how the project progresses alongside my other colleagues working towards a New Plastics Economy.